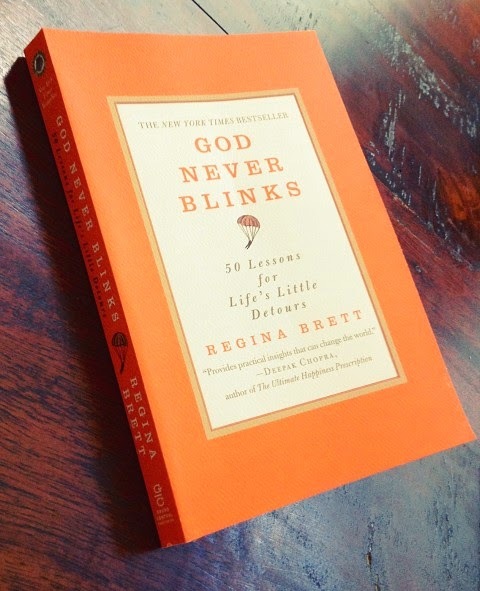 I bought the book "God Never Blinks" at Barnes and Noble around 17 months ago. Why? Because I won a Barnes and Noble gift card in the Dirty Santa game at my family Christmas the year before and wanted to spend it. As I browsed through some titles, I ran across this book. This was my mentality: It's a neat book that I can put in the guest bathroom and people can read it if they are in there for a while. That's a good idea, right? And then maybe I would sneak in there and read some too. Although the book would quickly become "flagged" by George Costanza's standards, maybe some of the contents of the book would seep into the lives of some of our household visitors. Smart, right? 17 months later it occurred to me that I really don't spend that much time in the bathroom and that I hadn't read very much of it at all. So, I put it on my list and made myself sit down and finish it. I would highly recommend this book because it is very easy to pick up, read a little bit here and there and start again later. No pressure that if you lose your place you will not know what is going on. That's my kind of book. This book has 50 life lessons/ devotionals. It really helped me to keep some of my drama queen antics in perspective.